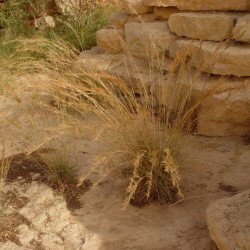 Native to Saudi Arabia and known in Arabic as nissi, S. plumosa is a perennial grass widespread in the desert, where it is important as fodder and also as a stabiliser of sand dunes. Growing in dense tufts up to 60 cm high, the stem branches densely from the base. 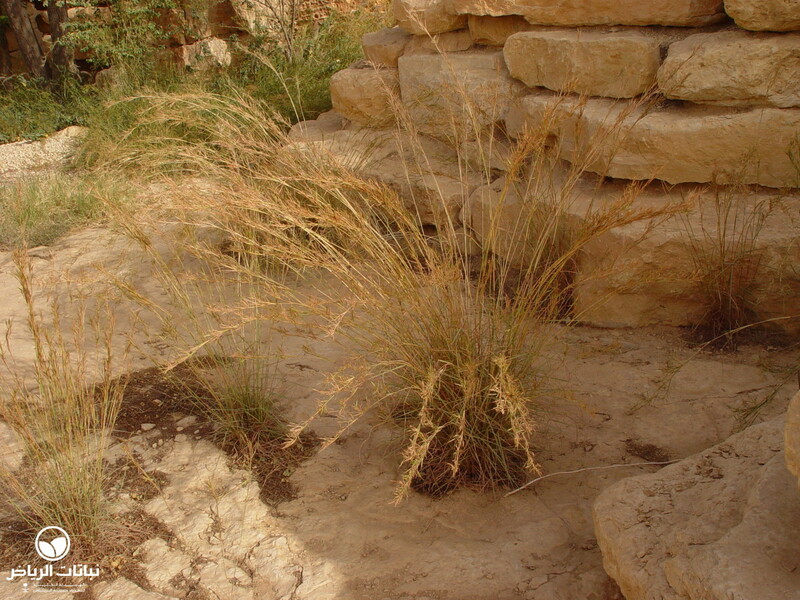 Erect culms up to 30 cm long are glabrous and have woolly internodes. The fine, silvery leaf blades are 15 cm long and curled. Silvery flowers are borne on panicles up to 15 cm long throughout much of the year. The junction of leaf and leafstalk is a dense fringe of hairs. 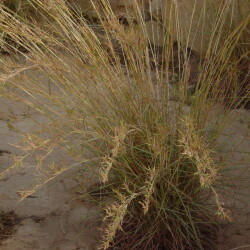 The feathery glumes at the base of the grass spikelets remain for a long time. 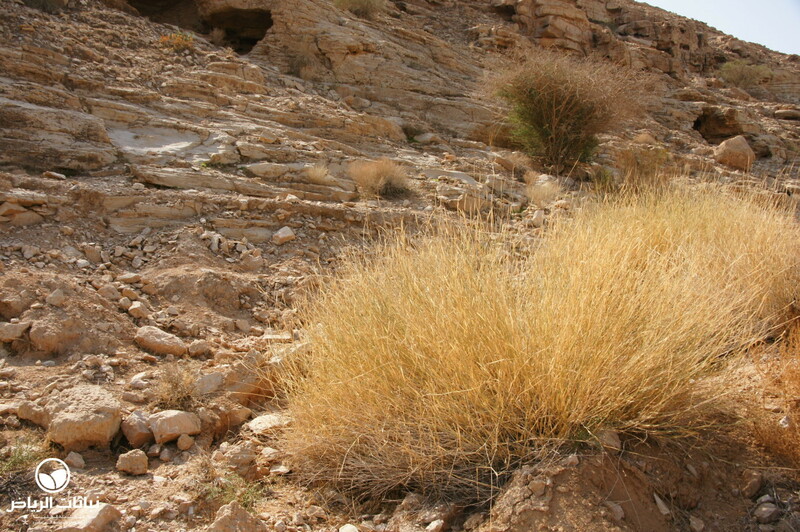 Most common in spring, it is often overgrazed and then disappears. 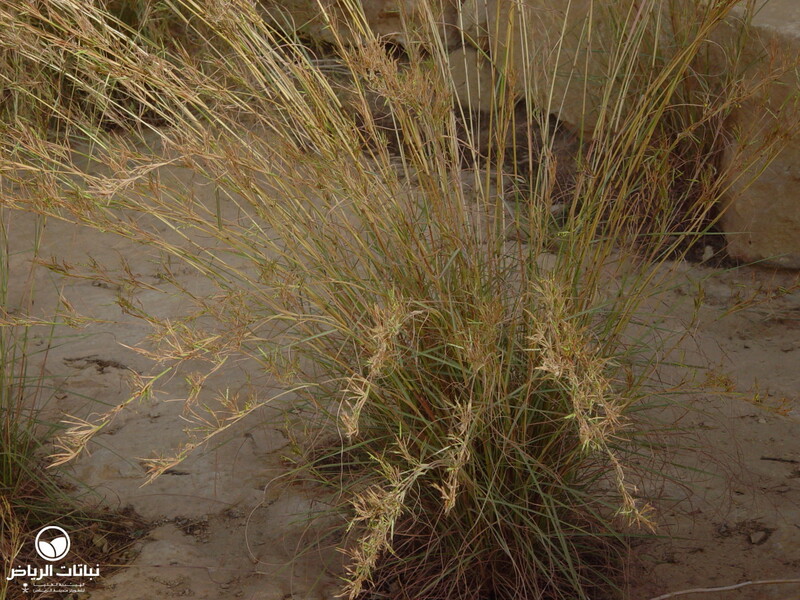 S. plumosa grows on shallow stable sands and sandy silt soils, and is highly tolerant of salts. Extremely drought-tolerant, watering would be necessary only after establishment, if its greenness needs improvement. Propagation is from seed. 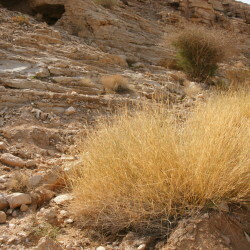 Nissi is an important grazing grass and is recommended for land reclamation and restoration of desert forage resources. It is very useful in erosion control. Owing to the very attractive aspect of the silvery spikes waving in the wind, it is an excellent grass for extensive landscape design purposes on a grand scale. It is virtually maintenance-free.